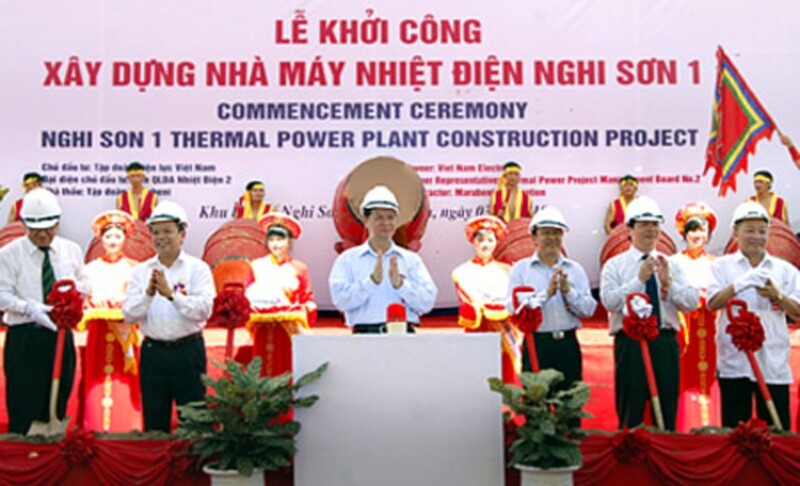 Construction of Nghi Son 1 thermal power plant officially got underway July 3, in the Nghi Son Economic Zone of Thanh Hoa Province. Prime Minister Nguyen Tan Dung, Japanese Ambassador to Vietnam Mitsuo Sakaba and representatives of ministries, attended at the groundbreaking ceremony. With a total capacity of 600 MW, the plant will produce 3.6 billion kWh annually. Of the more than VND22 trillion (US$1.1 billion) in investment, 85 percent comes from a Japanese ODA Loan funded by Japanese Government through Japan International Cooperation Agency (JICA). Nghi Son 1 thermal power plant, one of two plants in the Nghi Son Power Complex master plan, aims to satisfy the increasing demand for power in Vietnam, where significant economic growth is being achieved. 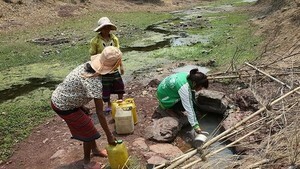 The project is Electricity of Vietnam’s (EVN) first large-sized thermal power plant in central area of the country. The construction of several industrial plants is expected to contribute invaluably to the development of infrastructure in this area.